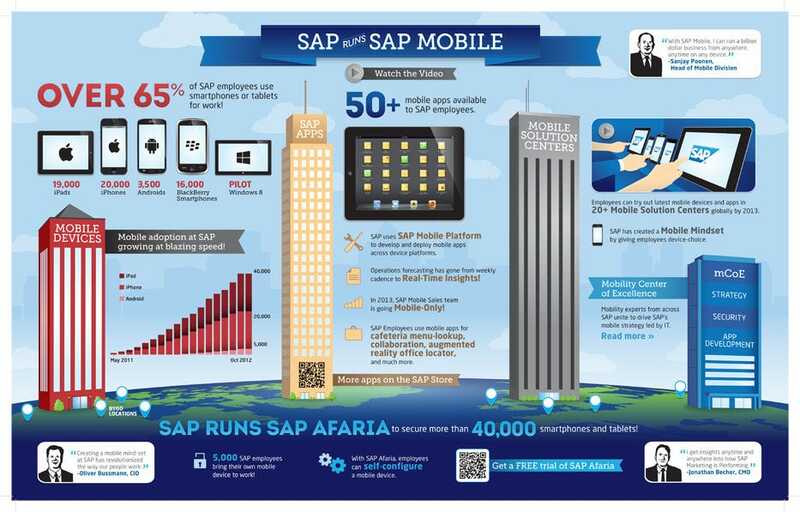 Mobile solutions are one of the many services that SAP offers its enterprise clients. SAP has embraced a progressive mobile philosophy internally as well, implementing a far-reaching bring-your-own-device (BYOD) and device-agnostic policy for its employees. 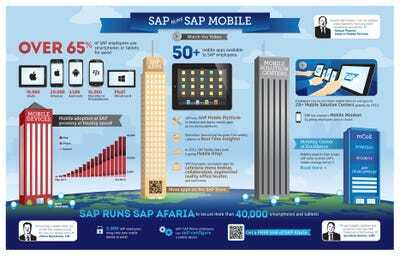 To date, SAP has enabled more than 40,000 mobile devices and more than 50 mobile apps for its employees—who can use their smartphones and tablets not only to close deals, but also to look up food choices from the company cafeteria menu. Check out the full scale of SAP’s mobile policies in the infographic below, and read Mahira Kalim’s guest blog post on ZDNet for more on the company’s mobile policies.